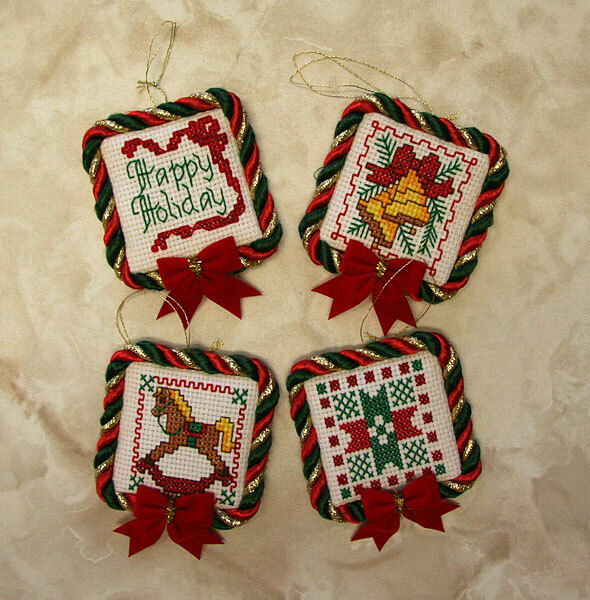 I finally found some cute little bows to finish off the bottoms of this set of ornaments that I've posted before. So these are ready to hang now! This next one is still not completely finished, but it is one step closer to being a completed project. The pattern is from an issue of New Stitches (pretty sure). I had this old green aida cloth and wanted to see how a light thread would look on a dark fabric, so I stitched this one up quick. I was originally just going to toss it, but I was was inspired by some of the finishes I've seen on other needlework blogs and stitched this into a little pillow. I'll probably wrap some cording around it and put a tassel at the bottom and make an ornament out of it. The next two are some little kits that I picked up... The ribbon sachet was a kit that I bough during the short time that I was working at Hobby Lobby to make ends meet after college (the research job that I continued in after graduation was only part time). Ribbon embroidery was really taking off at the time and I wanted to try some. 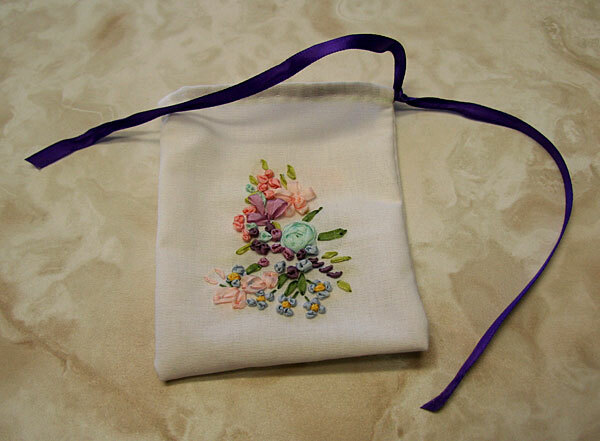 I finished the ribbon stitching fairly soon after buying the kit, but only made up the sachet a couple of weeks ago. I can't believe that I've had things sitting around that long! 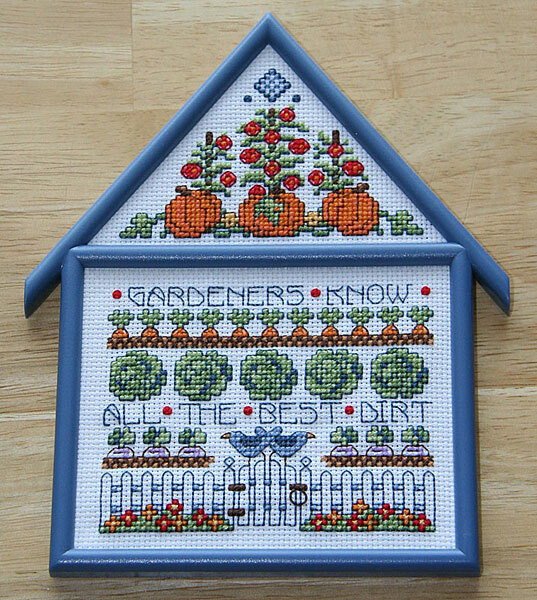 This next one was another kit that I bought at some big-box craft store a few years back and was mostly stitched at the house of friends that my boyfriend was staying at until he found a house to buy. I spent most of the weekends there too and stitched this on some of the lazy evenings at their house. I love how seeing some of these older project have strong memory associations with where I stitched them.